You can never be prepared for Edinburgh, no mater how much you preview & train for the festival, the month long run is like an assault course that even the best SAS soldiers would struggle with. It’s a brand new stand up show with a slight theme looking at me being ‘immigrant working class’ and my misses being ‘British middle class’ and about how easy/difficult it is living together from our two backgrounds. Cutting the show down to 60 minutes. Because when I started writing it at the start of the year, I write out 90 minutes of material on it because I tour the show straight after Edinburgh! Everyone! Because my shows are non-threatening, cleanish material and uplifting, I try not to exclude anyone, except for racists and serial killers! Yes, “Date Night” at 9.25pm every night at Just The Tonic, it’s a brilliant brand new dating show, which is hosted by my misses & me! Everything, the people, the surrounding scenery, the old style buildings, the cheap Lidl on Nichols street, the free samples of fudge in the fudge shop, the quiet walk home through the meadows at the end of each night, the value for money food in the mosque kitchen… the list is endless, what’s not to love about this city! Sleep, Tour, sleep, tour, write, rest, tour, eat loads of food! 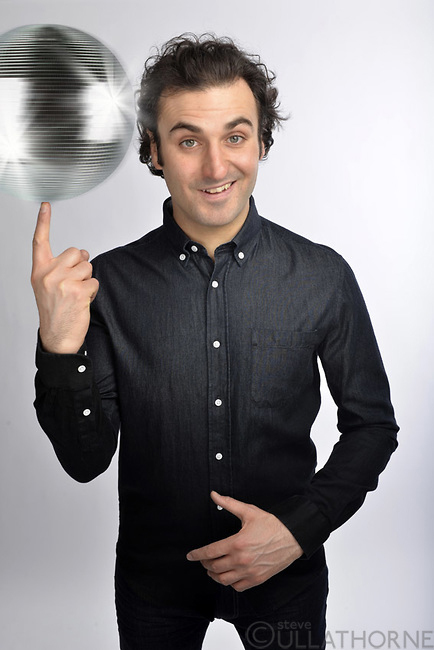 Patrick Monahan is one of the most energetic performers to ever come out of Ireland or Iran or even Newcastle. With an uncanny ability to get audiences animated through singing, dancing and laughter it is perhaps unsurprising that Monahan’s demographic spans a large age range. His material is largely autobiographical: it’s honest, uplifting and immensely enjoyable to witness live. And the opportunity to witness the force that is Patrick Monahan live may come sooner than you think, as he is rumoured to be announcing a tour in the very near future. 1) Do you consider yourself to be proactive? I think to survive as a stand up you have no choice but to be proactive, your material is constantly up on every social media on line, clips are put up on YouTube filmed by audience at gigs or by the police on CCTV and uploaded. So you have to keep writing and developing new comedy routines and gags and stories, cos if people discover you on line, and come to see you, it’s nice for them to see you doing something different. It’s not like being a singer that can do their greatest hits on line and on stage, I’d love to be Justin Bieber or Adele, but unfortunately stand ups can’t be. 2) Where does your love of dance come from? I’ve always loved physical comedy from growing up watching comics like Robin Williams & Richard Pryor, who not only tell the story but re-enact every detail of the story. And I love comedy about real life things that have happened at clubs or music venues that instead of just telling it, I can express it through dance to the audience. I enjoy dancing but I don’t know how many people like watching me dance. 3) Do you love or loathe the concept of New Year? I think the whole idea of having a new year its great fun, but in reality it doesn’t actually change that much from doing comedy a week before or a week after. Although people actually out on New Year’s Eve at a comedy show are a lot better behaved than people out in December cos most people out on NYE are mostly couples or family celebrating who want to listen to the show as opposed to office parties who want to sleep with Denise in accounts & roast Dave from finance who are out on a Xmas works do. 4) What would you define ‘lazy comedy’ as? Anyone who nicks routines of another comic is obviously lazy and should be punished by being sent to a remote island with a laptop and not allowed off till they can write a one and half hour show of their own stand up. I have to write a new tour show every year and I didn’t even know my alphabet till I was 14. If I can write regularly then no excuses for anyone else. 5) Which subject bored you the most at school? School was interesting for me cos I went to a couple of different schools, so before I could get too bored me family had moved to somewhere else. But I definitely think if I went back to school now, I’d get more out of it than when I was a kid. Also most schools give away a free tablet to write on. 6) Do you enjoy being busy? I love it. I get 2 days off a year, which is Christmas Day and New Year’s Day, but to be honest, by the evening of Xmas I’m scratching around at home looking for an impromptu gig I can sneak onto! 7) Does the audience your comedy attracts ever surprise you? My comedy audience range from 8 years old to 88 years old, mainly cos me comedy is non-offensive, without any swearing or anything too blue. So my audience will consist of couples & families who bring out their kids & grandparents. I love it, I’d never complain. KEEP UP TO DATE WITH PATRICK MONAHAN’S COMEDY WORK BY VISITING HIS WEBSITE AND FOLLOWING HIM ON TWITTER.